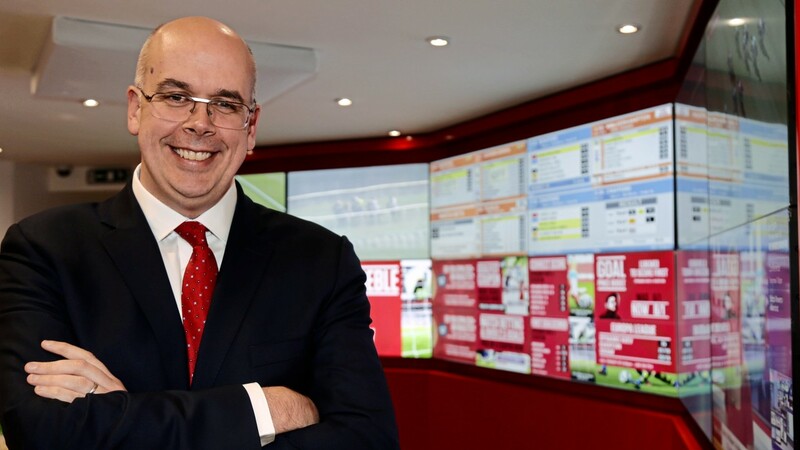 The newly merged Ladbrokes Coral Group have begun their partnership positively after revealing operating profit in line with expectations in the first update since the two businesses combined. Despite a poor run of sporting results in December the group as a whole reported a £280 million profit for 2016, £179m of which came from Coral and £101m from Ladbrokes. That compared to a £235m profit in 2015. Ladbrokes and Coral leapfrogged William Hill to become Britain's biggest betting shop operator, with an estate numbering more than 3,500 shops when the two completed a £2.3 billion merger in November. He added: "It has been an encouraging start to the life of Ladbrokes Coral Group plc. Good progress is being made on all the key integration workstreams. We saw continued growth in our digital division with Australia going from strength to strength, and further growth in multi-channel sign-ups. "We remain confident in our plans for 2017 and on delivering the opportunities identified in the merger." Final results for the year will be announced in late March but Wednesday's update was well received in the City, coming after Hills last week revised its forecast profits after a run of punter-friendly results in December which cost the firm £20m. Investment analysts Davy said: "As opening statements go, this first update from the merged Ladbrokes Coral entity is pretty encouraging. "The group has largely managed to meet expectations in 2016, despite adverse sports results in the fourth quarter which saw gross win margin come in two percentage points below management expectations in retail and one per cent below in online. "The online businesses in both the UK and Australia are winning market share. Integration efforts are on track and in all likelihood ahead of schedule in our view." Peel Hunt was concerned by an 11 per cent fall in over-the-counter revenue and five per cent drop in staking. This was partially offset by an estimated two per cent rise in revenue from machines – which are under threat from possible government-imposed reduction in stakes. It said: "The government’s regulatory review hangs heavy over Ladbrokes Coral as the owner of the largest estate of shops. We expect some clarity, and some relief, before Easter. We also look forward to management setting out its stall in relation to the potential upside from the merger." Shares were trading at 129p, up 4.50p, at 1pm on Wednesday.